This project provides legal assistance to students with disabilities who are court-involved, court-diverted, or at-risk of court involvement. We help ensure that the students’ schools are providing appropriate special education services and are not unfairly punishing the students for behavior that is related to their disability. The project’s mission is to help these students by reducing recidivism rates, increasing educational opportunities, and protecting their legal rights under the Individuals with Disabilities Education Act (IDEA). Legal advice (and representation in select cases) to students with disabilities who are court-involved, court-diverted, or at risk of court involvement to ensure that they are receiving appropriate special education services and are not expelled from school. Assistance with the educational problems these students experience when exiting the court system. Special education trainings to probation officers, public defenders, state’s attorneys, and other interested parties. We provide legal advice and representation on special education and school discipline matters for students with disabilities. 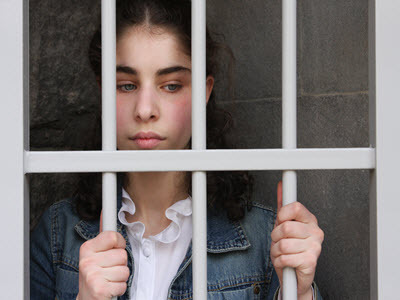 However, we do not provide representation on delinquency or criminal matters in juvenile court. We serve students with disabilities (or students who may have a disability) who are on probation, in a detention center, or exiting the court system who need assistance with special education needs. The Court Involved Youth part of our project started as an Equal Justice Works Fellowship generously sponsored by the Chicago Bar Foundation. We advocate on behalf of students with disabilities (or students who may have a disability), who have been diverted from court or are at-risk of court involvement, with regard to their special education needs. The Court Diverted Youth part of our project exists thanks to an Equal Justice Works Fellowship co-sponsored by Aon and Kirkland & Ellis.